For millennia, flowers have been laid at the grave sites of fallen loved ones as a symbol of remembrance for fallen loved ones. 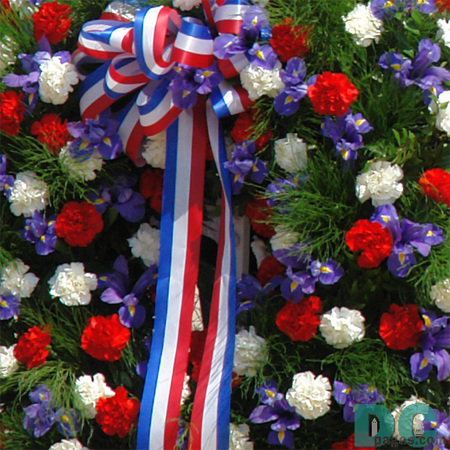 Every year at Arlington National on Memorial Day there is a wreath laying ceremony at the Tomb of the Unknown Soldiers (although the tomb has never been officially named). Usually the ceremony is presided over by the sitting President of the United States. Print measures 24" x 24" and is free of watermarks and logos. We only use the highest quality photo paper for our prints to guarantee this print will last a lifetime.